The Beer Circus is a two day celebration of a blissful state of mind crafted for the most unique experience. A convergence of Beer lovers, the best of Beer brands & breweries and beer traditions from all around the world, The Beer Circus aims to bring all of them together under one single roof. The Beer Festival Goa 2017 is a property of Pataka Events, curated, designed and executed by Joshua Antao, Ayesha Kirti Gurung & Natasha Parekh. Their vision of bringing together a property much close to them that involves a 360 outlook to the world of Beer. Goa is an emotion that echoes of freedom and happiness. And no day in this land of sun and sand is complete without a mug of beer! 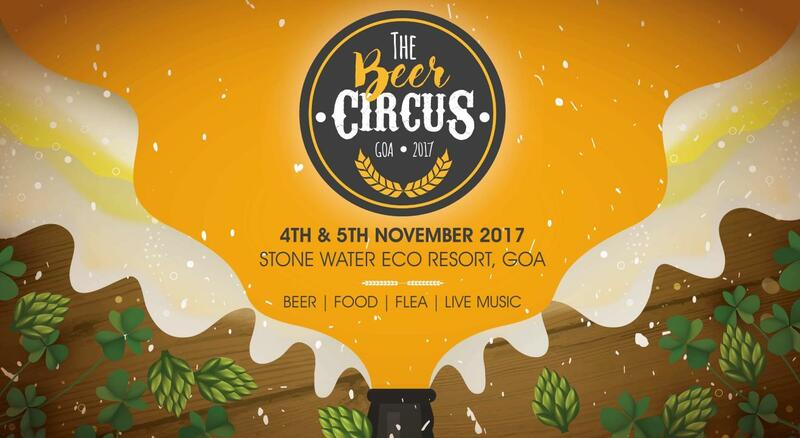 Hence, no better state than Goa, to host The Beer Circus 2017. The first of its kind, The Beer Circus 2017 will be held at the Stone Water Eco Resort, Bogmalo, on 4th & 5th of November 2017. Located 5-kms from the airport and central to North and South Goa, and touches the serene beach lends itself perfectly for a two-day beer festival. The Beer Circus as a ticketed-event is expected to host 5,000 people over the two days. Tickets to the event will be available at select locations across Goa. One of the most interesting arenas at the The Beer Circus is The Brewniversity, the learning zone at TBC which will have renowned brew masters impart interesting beer knowledge and conduct various beer tasting sessions for the interested F&B community in Goa. Gracing the premiere season of TBC, is John John Eapen, a well known Beer evangelist, quite popular in the Beer Fraternity around India. The Beer Circus Goa will host a number of elements to provide an end to end insight in the intriguing world of Beer. Beer enthusiasts will be able to put up stalls that invoke the element of ‘Beer’ in their products. Styled on the lines of the Oktoberfest that takes place in Germany, The Beer Circus plans to bring down the best of Brews, from across the country, a mix of commercial and craft beers. A section for the home chefs inspired to showcase their culinary fascination is also one of the many interesting arenas at The Beer Circus. Their menus would be interesting spin-offs inspired by the element of Beer. Participants interested in putting up stalls can look at combinations of food that are well consumed with the various brews available at the festival. The quirky section at The Beer Circus, the flea market will have various stalls dedicated to merchandise inspired by Beer. Participants can put up products such as T-shirts, collectibles, dreamcatchers, stationery, home décor etc. To add value to the festival, the Beer Circus has curated a “FROTH INN” concept where by beer lovers can stay in at the festival in luxurious log cabins with all room amenities. The packages would be available through their website. Live music from across different genres such as African Folk, Reggae Dub, Jazz, Blues Rock and others have been planned to perform at The Beer Circus this November. The performances will be hosted through the entire duration of the festival, keeping the audiences enthralled to their beats as guests enjoy their brews and the overall experience of the most awaited festival of the year. Come Join them on their adventure in chugging beers, eating Beer Foods, and enjoying the Beerific life on their journey towards The Beer Circus, this November as they celebrate their love for Beer! Please be informed all check in/ check out will be strictly as per the timings mentioned below. Early check in/ Late checkout will be at an additional cost. Our Check in starts at 1400 Hrs and Check out 1200 Hrs. Minimum Length of Stay should be 02 night for The Beer Circus. Extra Adult/child below 5 years is permissible for additional 50% of the room rate and will be provided with mattress for the additional pax. In case of airport transfer request, please be informed that the transfer request remains tentative if not provided with complete flight information and information have to be shared at least 24hrs prior to the date of arrival. 100% deposit is required within 72 hours of Reservation creation, post which booking will be released.